Wendy Judge Paulson '69, lifelong activist and chairman emerita of the worldwide conservation organization Rare, has a deep love of nature that grew during her time as a Wellesley student and that has driven her work ever since. Today we celebrate Earth Day, a movement that was established in 1970 “to inspire, challenge ideas, ignite passion, and motivate people to action.” We also celebrate Paulson’s commitment to Wellesley’s natural environment and to igniting Wellesley students’ ecological passions. Paulson recently made a gift to the College to establish a five-year intensive effort that will transform and reshape Wellesley’s relationship with its landscape. 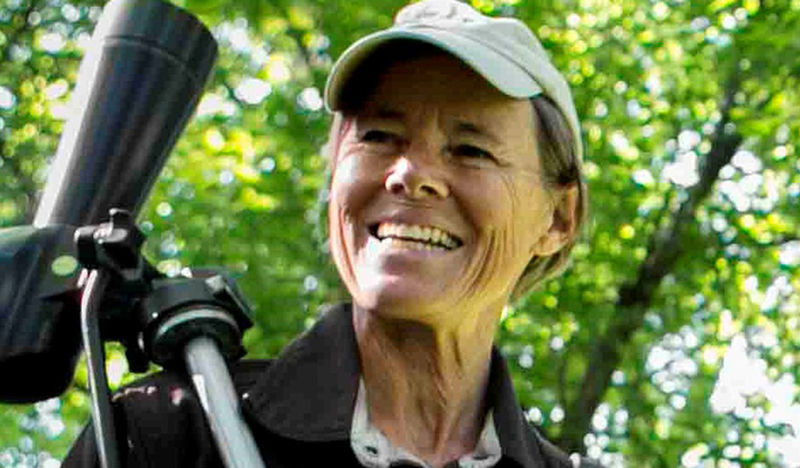 The initiative, which will inspire and prepare students to make a positive ecological difference in the world, will take full advantage of Wellesley's campus and global alumnae network to advance conservation and stewardship of biodiversity by connecting diverse, talented women to nature and to many different ways of working on nature’s behalf. "We are so very grateful to Wendy for this opportunity, and we look forward to partnering with her and her team as we collectively work to engage the campus community more proactively with our magnificent landscape and the ecosystems it supports," said Cathy Summa, director of the Wellesley College Science Center. "This effort will help us reconnect with the founding vision the Durants had for the role the campus landscape plays as a key element for teaching and learning." By using the beauty, diversity, and history of the landscape more intentionally to connect students to campus flora and fauna and to the natural rhythms of life outdoors, and by managing key ecosystems for research and other academic purposes, the initiative aims to make the campus an increasingly effective "living laboratory" and to empower students to take their ecological foundations into the world when they leave Wellesley. "Developing connections to nature and a stronger sense of place for all of our students is the proximate outcome we're aiming for with the Initiative," said Kristina Niovi Jones, director of the Wellesley College Botanic Gardens and adjunct assistant professor of biological sciences. "Reversing the reckless decline of ecosystem health and biodiversity globally is the ultimate goal, as graduates take their love of nature with them." Most colleges have an arboretum or natural area near the main campus; at Wellesley, the campus itself has a diversity of ecosystems, and the surrounding natural environment is part of students' everyday experience. "For the campus, this initiative will enable continual improvement of key ecosystems such as the Alumnae Valley constructed wetlands, providing support to study them and adapt management plans accordingly, hiring lots of students along the way,” Jones said. “It is an exciting collaboration of Facilities staff, notably John Olmsted and Patrick Willoughby, with faculty and students.” Jones added that there would be many opportunities to participate for anyone who would like to be involved. "By training women leaders inspired by the beauty and biodiversity of this campus, and educated about the importance of healthy ecosystems, including those achieved through innovative restoration ecology projects, this Initiative will place Wellesley in the forefront of institutions driving positive change for the planet,” said Andrew Shennan, provost and dean of the College. “The Initiative will be a trailblazer in its integration of academics and operations, and will set an example for other institutions to learn from and follow." Cameran Mason '84, vice president of resources and public affairs, said, "Wellesley is delighted to partner with Wendy to launch this innovative program, which confirms and enhances our mission of educating women to make a difference in the world."